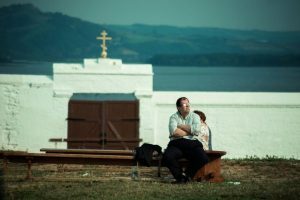 I have been asked: “How do we accept individuals into the Orthodox Faith?” Should we “rebaptize?” Must everyone be “chrismated?” Is it enough “only to hear their confession?” Traditionally the Orthodox Church has three means of accepting someone into Orthodoxy: 1) Baptism, 2) Chrismation, and, 3) Confession. Naturally, in all cases, also Communion. The acceptance into the Church should correspond to the reality. What was the individual before? What was his faith and churchly life? Did he consider himself a sinner? Did he believe with his priest and with others in the real transformation of the Holy Gifts? Did he believe in the apostolic laying on of hands? Was and is this laying on of hands, as such, historical? Was the baptism in the name of the Holy Trinity and was water used? All of this must be determined in detail prior to accepting them into Orthodoxy. A person does not always match this or that “formula,” even if he belongs to a church, which is historically and canonically “unquestionable.” The reverse is also true. A theological separation of “form” from “content” is foreign to the theology of the Holy Fathers of the East, particularly St. Basil. Such teaching is very dangerous, in spite of the high authorities who might support such definitions — a typical latin nominalism and scholastic aristotelism. Another extreme is the denial of grace just because of the “form was incorrect” or did not correspond to the teaching or practice of the Orthodox Church. 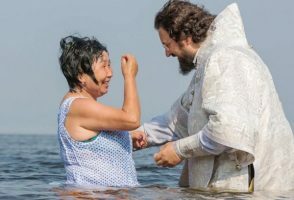 Baptism by immersing in water is the accepted norm because it is the symbol of “being buried with Christ.” However, the Church has always accepted a baptism as being with grace in such cases when an immersion was not possible as in the case of illness or just prior to death. A contact with water in any form was acceptable. Every priest knows of such cases, especially with babies. Some Orthodox Churches, such as the Serbian church do not practice full immersion due to historical reasons. No one ever had the idea to say that all Serbians cannot be considered baptized or that they should all be re-baptized. The Orthodox Church has a special rule, which concerns all cases in which the condition is not clear. This is a conditional performance of a sacrament. In such cases anyone may be baptized. However, prior to the Sacrament, the priest should say: “If not yet baptized, being baptized nowä “if not chrismated yet, receive the grace of the Holy Spirit now…” etc. This practice is presently widely used in atheistic countries, where frequently there are no reliable information about the baptism of a child. Equally, such a practice is acceptable, if the convert to Orthodoxy is not sure about the legality of his baptism or has any doubts. In case a priest has any difficulties to make a decision with respect to a real condition, he should directly contact his Bishop. Light of Life. Published quarterly by the Diocese of the West, the Orthodox Church in America, February 1983.